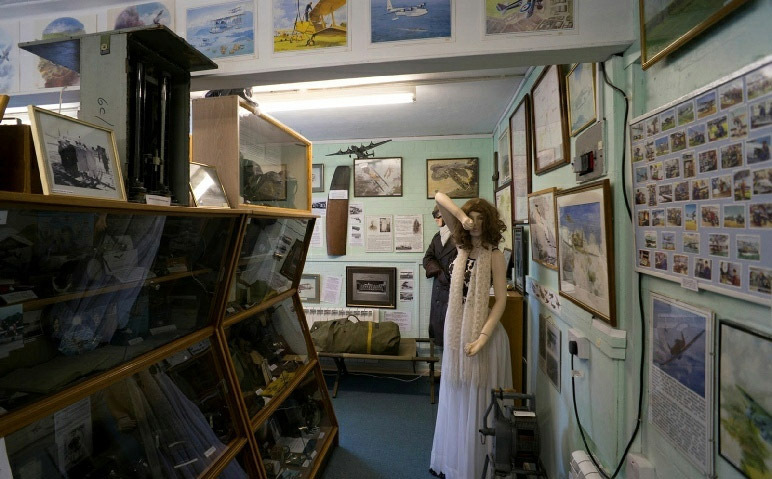 Martlesham Heath control tower museum. Open Sunday afternoons 2pm to 5pm from 7th April and every Sunday to the end of October. Free admission - Donations welcomed. 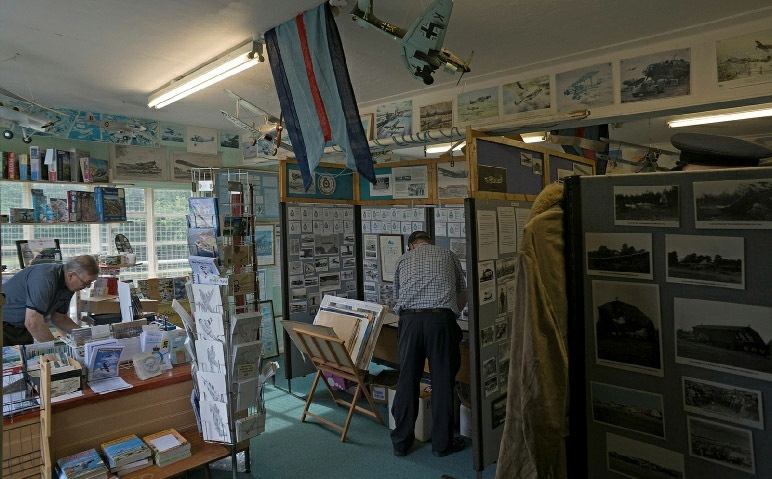 If you are a school or a voluntary organisation then you may be interested in arranging a visit to the Martlesham Heath Aviation Society Control Tower Museum on Martlesham Heath. Unfortunately, there is a cost to opening the museum i.e. heating, lighting etc. and therefore we have had to include a suggested donation, but it is a suggested donation which, can be discussed. ‘Phone Ian Lisseman 07707711104 or contact us via the email address on the “contacts” page. More details in a drop down menu “School Visits” under the “Museum” page. Turn off the A12 at the Tesco roundabout into Eagle Way, third right into Parkers Place, first left into roadway that leads to the Museum Car Park. The Museum is located in an area off Deben Avenue. Plenty of parking space. MARTLESHAM HEATH southeast of Woodbridge, the A12 runs through the site. 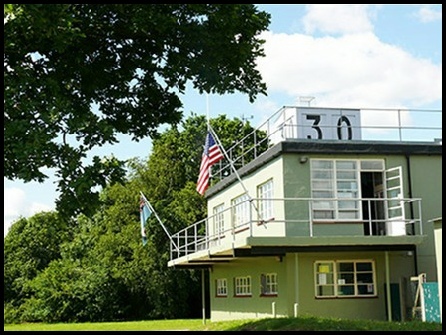 Martlesham Heath Control Tower Museum: The centenary of the airfield, and the modern township, was marked in fine style on 8/9th July 2017 - the special website is well worth of visit: www.mh100.org.uk The vista of a control tower, complete with its signals square, amid a housing estate is quite surreal. 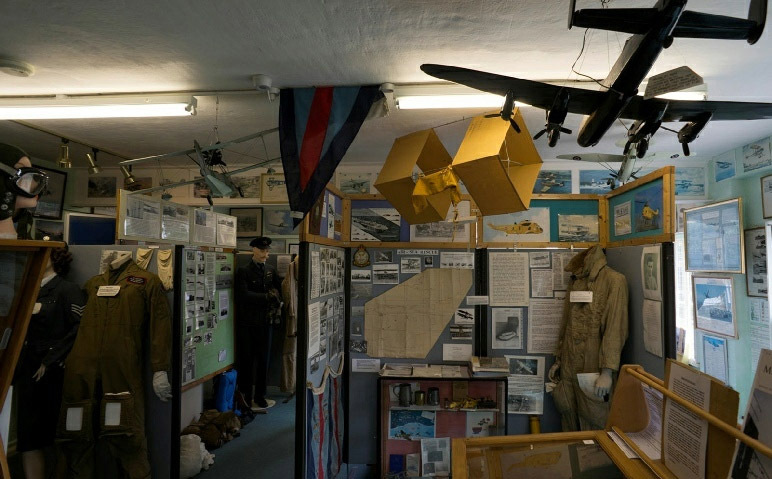 Run by the Martlesham Heath Aviation Society, the museum contains a vast amount of material on an exceptional airfield with an incredible heritage. The car park for the museum was once a series of revetments where the P-47s and P-51s of the USAAF’s 356th FG used to park. Concrete sandbags that made the walls of one of these have been preserved. 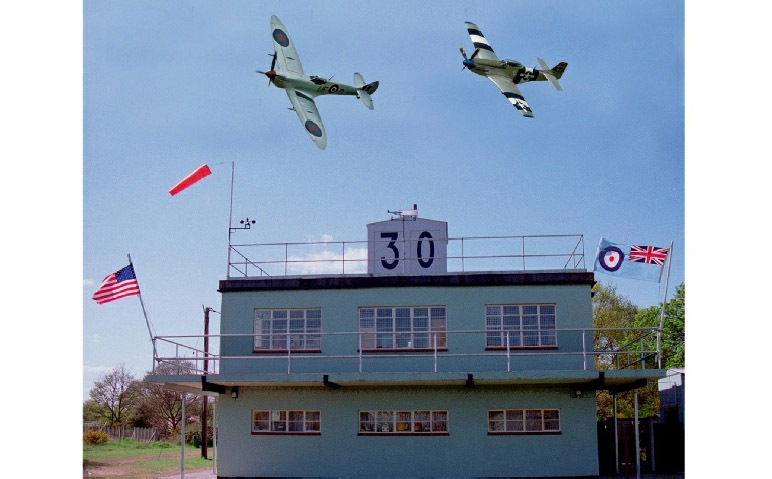 Unusually the Airfield was then shared with the RAF – in particular with RAF Typhoon Fighter Bombers and the continued presence of an RAF Air Sea Rescue Section of 278 Squadron. Open space to the east of the pub is not a car park; being the remains of one of the two runways laid down in time for the Americans… who also had use of the new Control Tower. 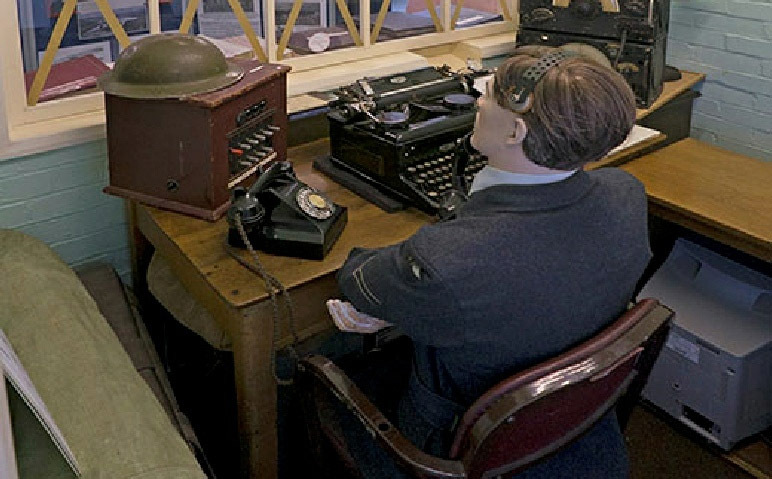 The original RAF Watch Office – on the other side of the Airfield was destroyed in a German Air Raid on 15th August 1940, which hit a bombed up Fairey Battle – which then exploded. 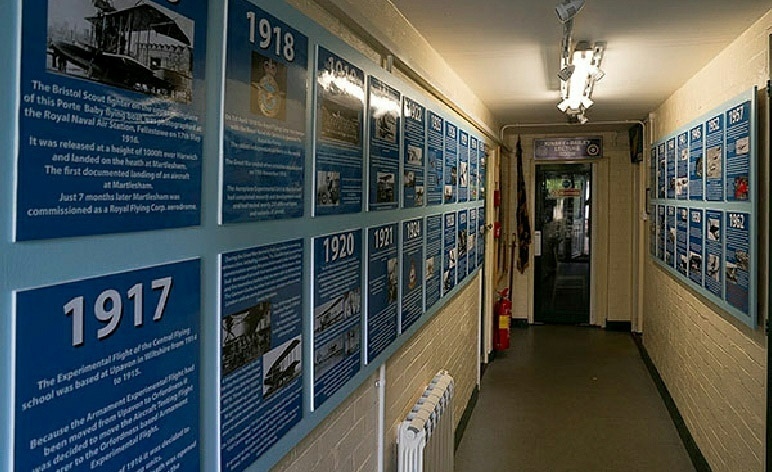 Impressive former RAF buildings, including the guardroom and the huge red-brick barrack blocks, and the Barrack Square dominate the eastern side of the A12 near an extensive industrial estate called Adastral Park; they are publicly accessible and several memorials can be found. 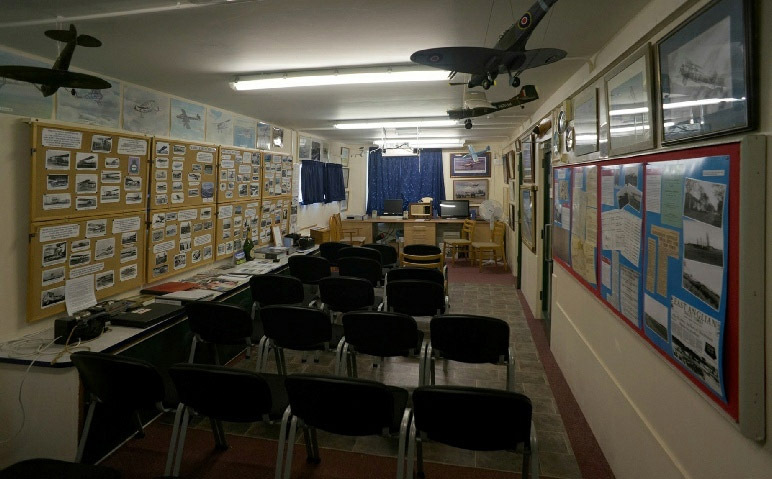 The Control Tower Museum is open on Sunday afternoons 2-5 p.m. from April to the end of October – and at other times for Groups by special arrangement.